Is your family Disney obsessed like ours? We are a family of Disney superfans. We watch our favorite Disney movies on repeat, make playlists of our favorite Disney music to sing along to in the car, and visit Walt Disney World and Disneyland every year – usually multiple times! These are just a few of the reasons why everybody who knows me trusts me to offer them the BEST Disney World tips! So you can probably imagine my excitement when I received my coveted invitation to the Disney Social Media Moms Celebration “on the road” Chicago event. From the moment I opened my invite I felt showered in pixie dust and couldn’t stop smiling. Seriously. I couldn’t wait to see what fun Disney had in store for me! 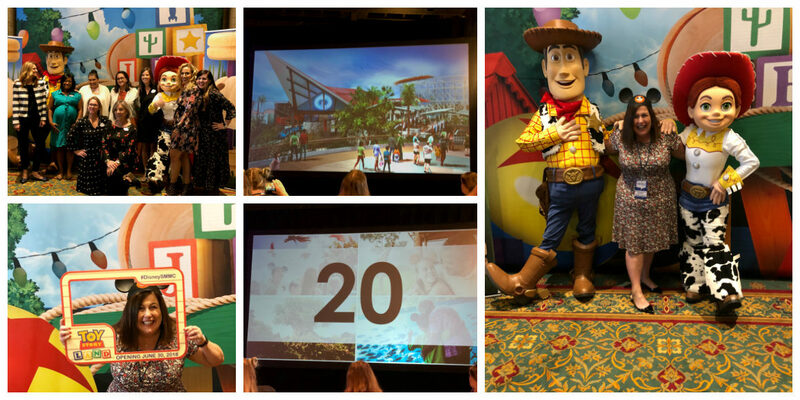 What to expect at a Disney SMMC “on the road” event? I’ll admit it, I’ve obsessed over my blogger friends’ social media accounts while they have been at Disney SMMC events. I followed along as they showed off their over-the-top awesome Disney swag and previewed behind the scenes looks at what’s happening at Disney Parks. So, I knew this was going to be an epic event! Let’s just say I was beyond impressed! Start to finish I was blown away by the entire half day Disney SMMC Chicago event. 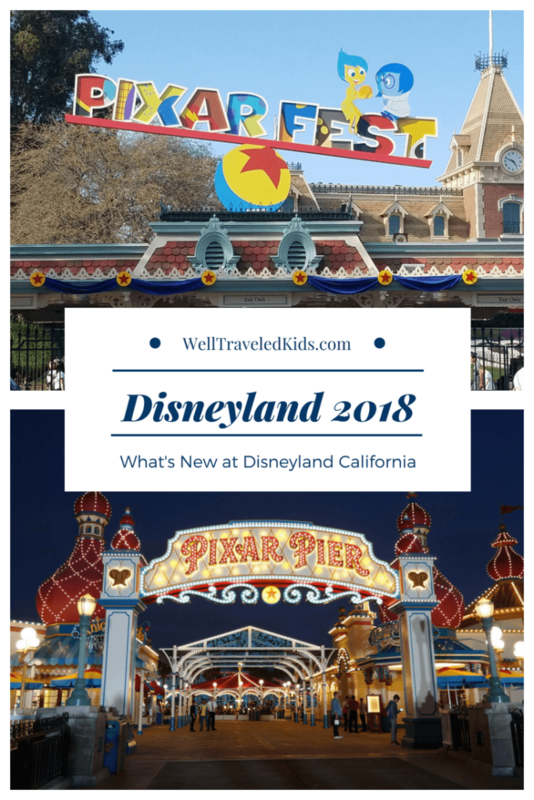 Not only did we receive amazing Disney swag, take photos with 2 of my son’s all time favorite Disney characters, and get a sneak peak of what’s new at Disney Parks this summer, but there was so much more! First off the room was decked out for the event with awesome Disney photo backdrops, cheerful centerpieces on the tables, a beautiful breakfast buffet, and we each got our own “Disney Mom” Mickey Mouse Ears! Next we were treated to a sneak peak of everything happening at Disney Parks and Disney Cruises followed by a behind the scenes look at Disney social media best practices. It’s fascinating getting a glimpse of the brilliance of the team that’s amplifying Disney messaging and branding. As a big Disney nerd I absolutely loved this! What could be better than having an insider scoop on all things Disney? Trust me, I was on cloud 9 all morning! It’s exciting to learn about what’s coming to Disney this summer, pick up a few new Disney World tips and I was especially thrilled to get an inside scoop on Star Wars Land coming next year to the parks. But, I never would have guessed that it would be the educational speakers that followed who would make the biggest impact on my day. 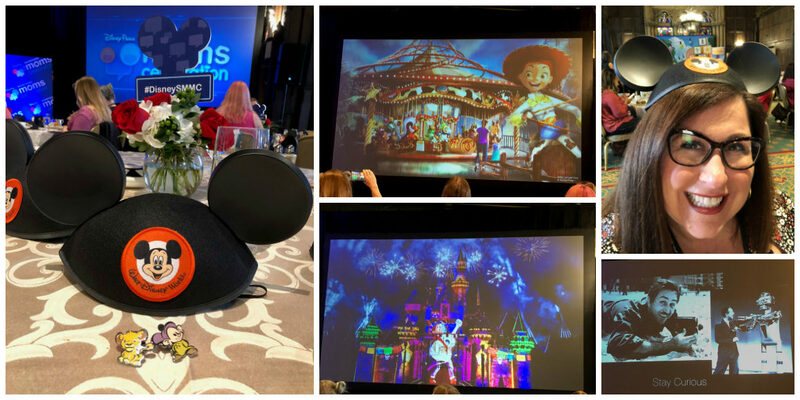 Disney dedicated the second part of our morning to bringing in a dramatic lineup of experts from some of the most successful mom blogs to educate, inspire us and support our goals as content creators. Leave it to Disney to know exactly the areas I’m looking to grow and better understand! Each of the leaders that presented were all truly engaging and exceptional. I’ve already benefited so much from the messages they shared. I’m deeply grateful for my Disney SMMC experience and hope to be invited to more Disney Moms events in the future! So what’s new at Disney Parks this summer? Ok superfans, it’s time to book your Disney trips because there are so many incredible things happening this summer at Disney Parks! So what’s the insider scoop? Read on and I will give you a little taste of what you can expect on your Disney family vacation this summer! As always, this summer Disney World is the Most Magical Place on Earth! 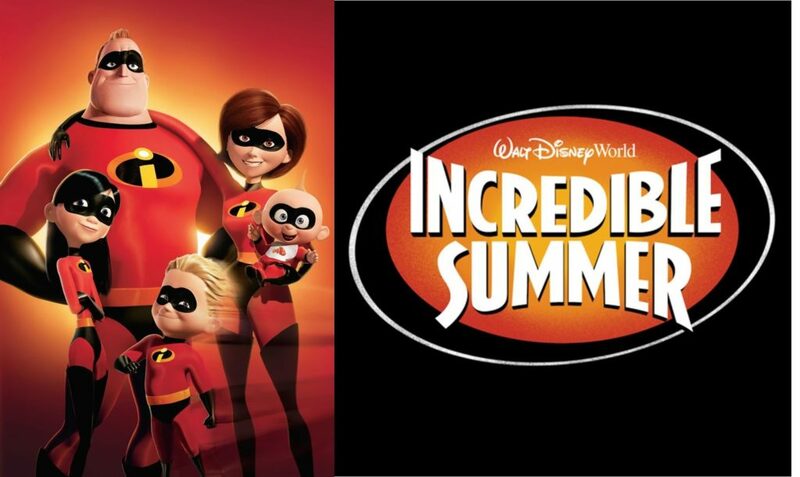 They are celebrating the Incredibles with their Incredible Summer at Disney World events. Have you seen Incredibles 2 yet? We love it and are obsessed with all things Jack Jack and Edna Mode! So needless to say we are excited about this summer at Disney! 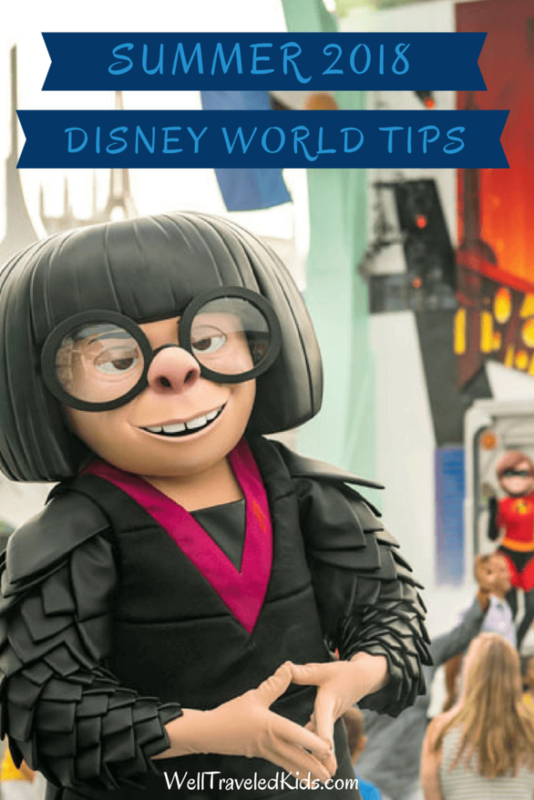 Read on for the latest Disney World tips for summer! Toy Story Land is opening this weekend!! Woody and Buzz were my son Harry’s only words when he was 2 years old and he pretty much said them on repeat (Think “I am Groot” only for Harry it was “Woody Buzz Woody Buzz Woody Buzz!”). So needless to say my family is super excited about exploring Toy Story Land soon! 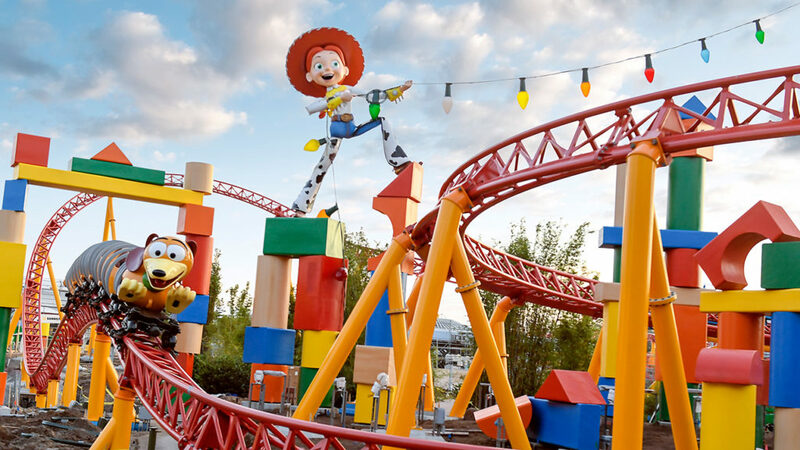 Opening on June 30th, all park guests will be able to explore Toy Story Land and shrink to the size of a toy in Andy’s Backyard! We are dying to visit and ride the new Slinky Dog Dash roller coaster. We love the Toy Story Aliens so we can’t wait to ride the Alien Swirling Saucers! 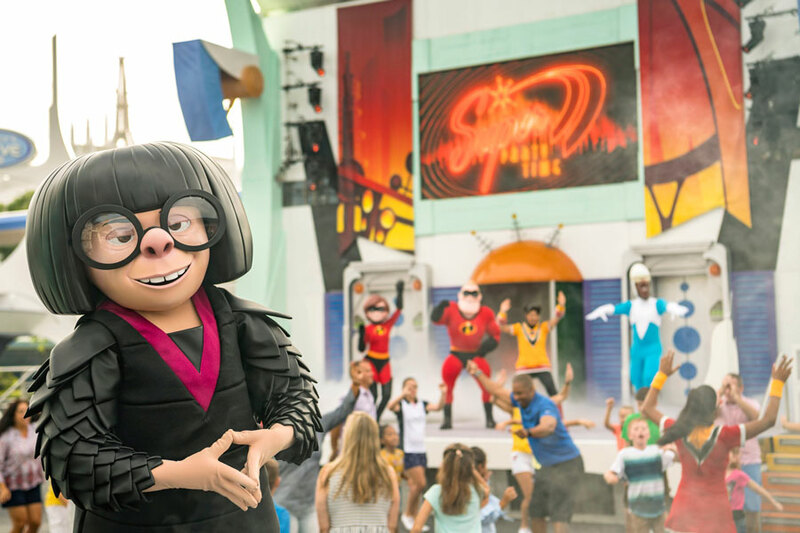 The Incredibles have taken over Tomorrowland this summer at the Magic Kingdom! Guests who visit Tomorrowland can expect to celebrate all things super with the Incredibles at the Incredible Tomorrowland Expo. I’m dying to get my photo with Mr. & Mrs. Incredible, Frozone, and especially Edna Mode! 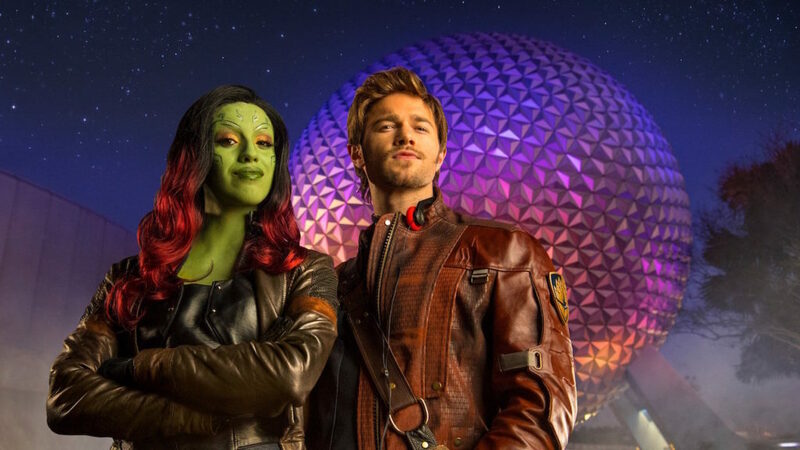 This summer Guardians of the Galaxy fans are in for an incredible treat at Epcot. Star-Lord and Gamora are hosting an epic summer concert just for super fans like us! Sing along with the songs from Awesome Mix Volumes 1 & 2 and catch a glimpse of Little Groot! Disney’s Animal Kingdom is celebrating its 20th birthday and it has never been more fun to visit. We are absolutely in awe of the land of Pandora and are obsessed with Avatar flight of Passage – it’s my favorite ride of all time! 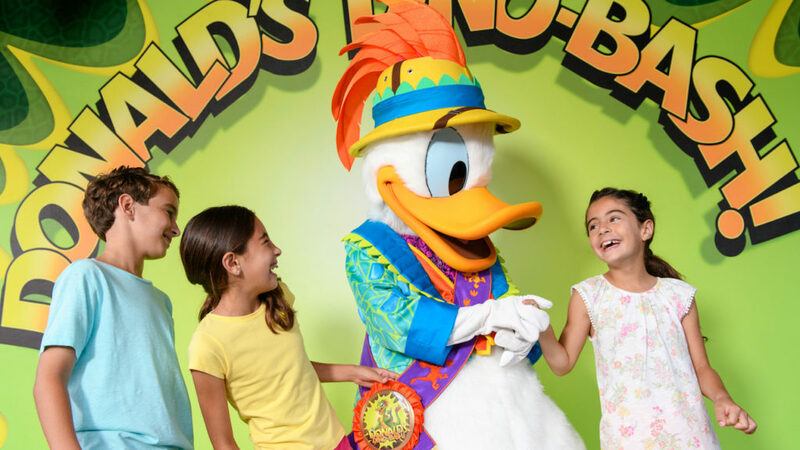 In addition, this summer Donald Duck superfans are loving Donald’s Dino-Bash. Donald, Daisy, Pluto and pals are throwing a big party in DinoLand USA to celebrate their dinosaur ancestors and it looks to be tons of fun! Click here for Disney World Tips on the Most Fun Disney World Night Rides! Maybe you are headed to California instead of Florida this summer. In that case you are gonna love celebrating all things Pixar at Disneyland. 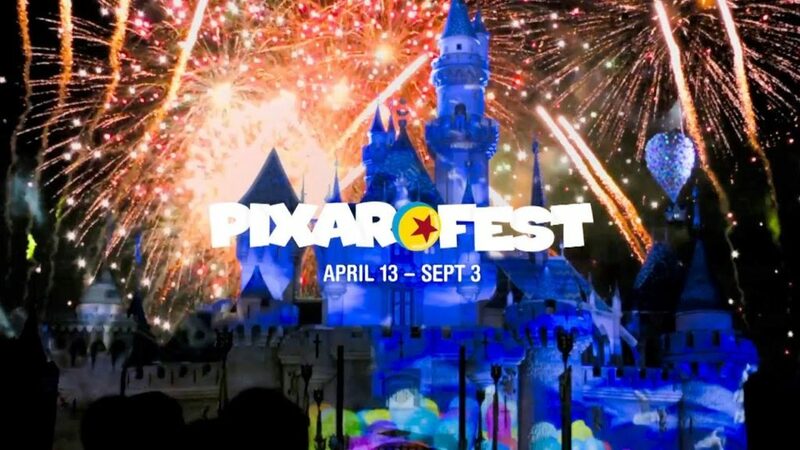 Both Disneyland Park and California Adventure Park are celebrating everybody’s favorite Pixar characters this summer at Pixar Fest. 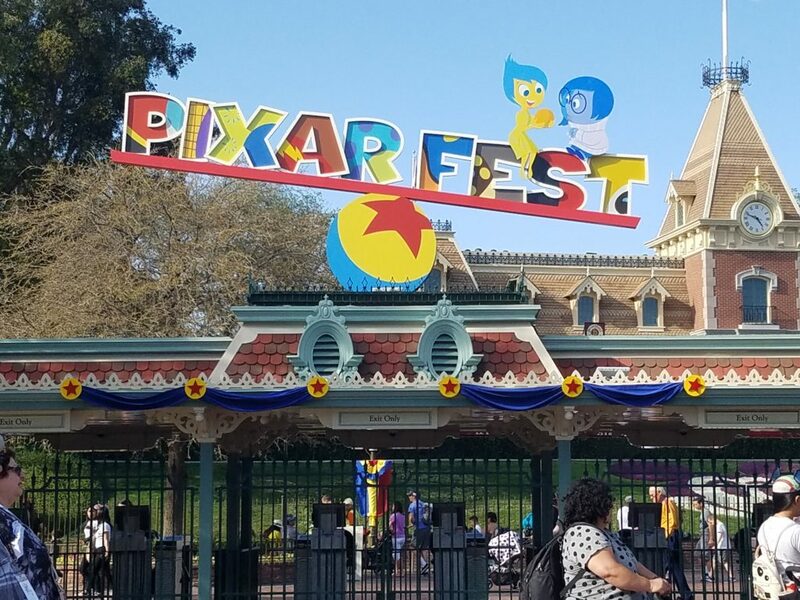 If you are a Pixar movie superfan, be sure to head to both of these parks this summer so you join all of the Pixar Fest fun! We love to visit Disneyland in the summer and this year it’s going to be even more exciting with Pixar Fest! Kids will love gathering with families to watch their favorite characters march by in the Pixar Play Parade and the Paint the Night Parade. I’m especially excited to check out Together Forever – A Pixar Nighttime Spectacular. I always love seeing the Disney characters projected onto the castle with music and fireworks. And the sneak peak preview we saw at Disney SMMC showed Coco being a big part of this show! We LOVE Coco! 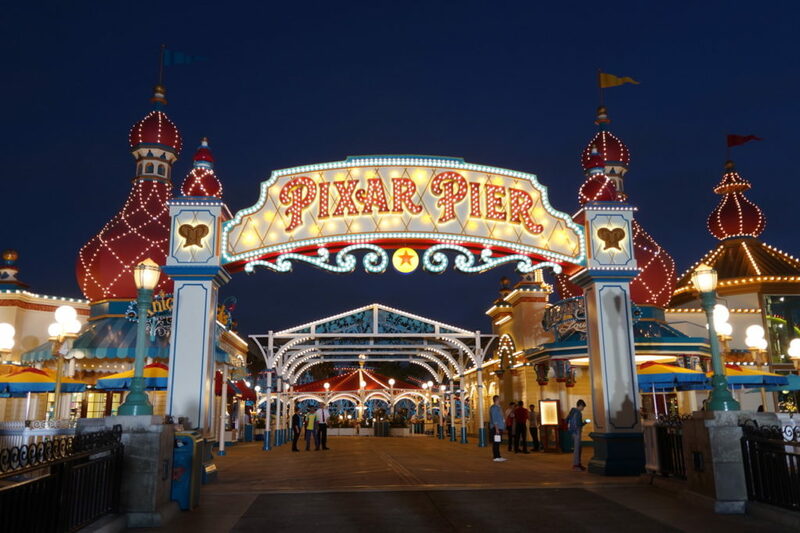 Pixar Pier opened last weekend and it looks amazing! Pixar Pier includes areas that highlight many of Pixar’s most popular movies. Front and center are The Incredibles, Toy Story, and Inside Out. Be sure to use MaxPass to reserve your ride on the new Incredicoaster featuring the Incredibles. Everyone will love riding the Pixar Pal Around ferris wheel that features gondolas with different Pixar character themes. The entire family will love Jessie’s Critter Carousel and all of the extra exciting details at Pixar Pier!